It was over two weeks ago that we motored twelve miles up the Hatea River to Rutea's temporary new home. We have embraced the urban setting and we're looking forward to being in one place for a while. 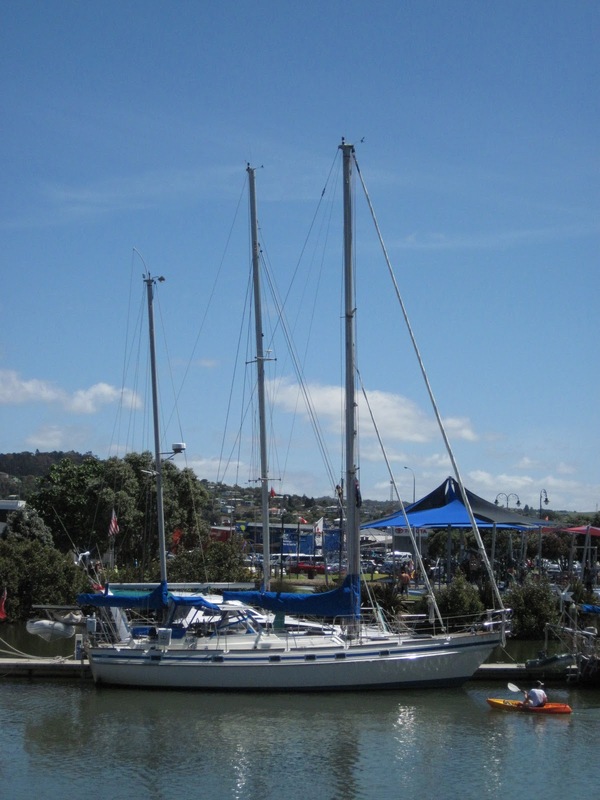 When I had originally proposed the idea of sailing the South Pacific, the furthest Ruthie would commit to was New Zealand. After almost ten thousand nautical miles in the past year, I think we're all looking forward to not moving for while. 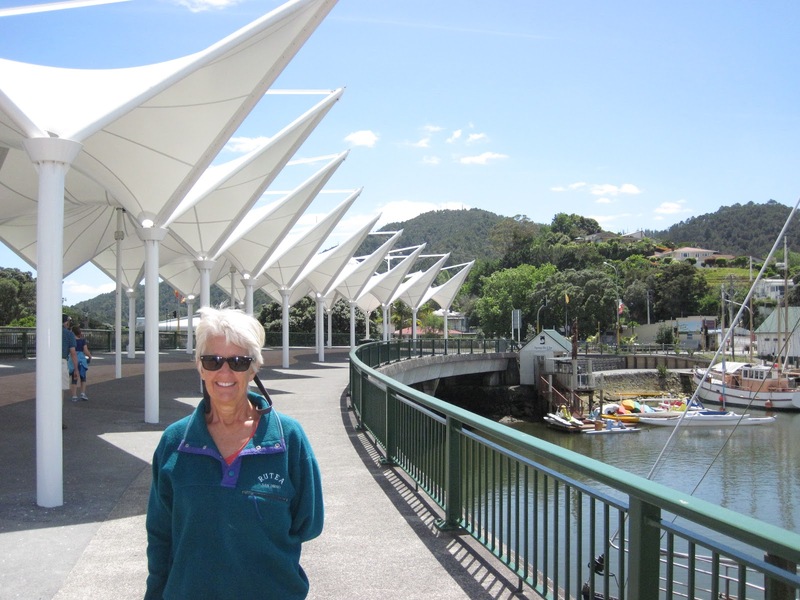 Whangarei seems like a great spot to spend some time. With a population of about 52,000, it's bigger than a town but not quite a city. At times during the day the bustling traffic can make it hard to cross the street (whereas I find New Zealand drivers, generally speaking, to be very polite, they seem to ignore pedestrians) but one doesn't have to travel far from the city center to be in a complete rural setting. The center of the downtown area has been converted to a mall and there's a fair amount of foot traffic there although many of the stores appear empty of shoppers. Most of the restaurants seem busy and at the very center there are few vacant storefronts but just around the corner on Bank Street, which used to be the very center of town, the vacancies might number 50%. Finding a parking spot is rarely a problem. Yes, we did buy a car, a 1999 Toyota Estima with 140,000 kilometers on it. It's identical to the Toyota Previa minivan except it has right-hand drive. Our model is called the Emina though Ruthie and Corie call it the Enema. I like driving it and driving on the left side of the road is starting to almost feel normal. Aquatic Center, a huge facility that houses a number of huge swimming pools, hot tubs, water slides and a very well equipped fitness center - all indoors. On Saturday mornings, just on the other side of downtown (a 10-minute walk from the boat), is the Grower's Market, where there's an impressive selection of fresh produce, fish, flowers and plants. The prices are lower than the grocery stores and the quality is excellent. Speaking of prices, though, things are very expensive when compared to the United States. The current exchange rate is about NZ$1.00 to US$0.78 but we still find many things to be 200%, 300% and higher than we'd pay for the same or similar items in the US. Gasoline is NZ$2.06 per liter. To fill our car is over NZ$100. 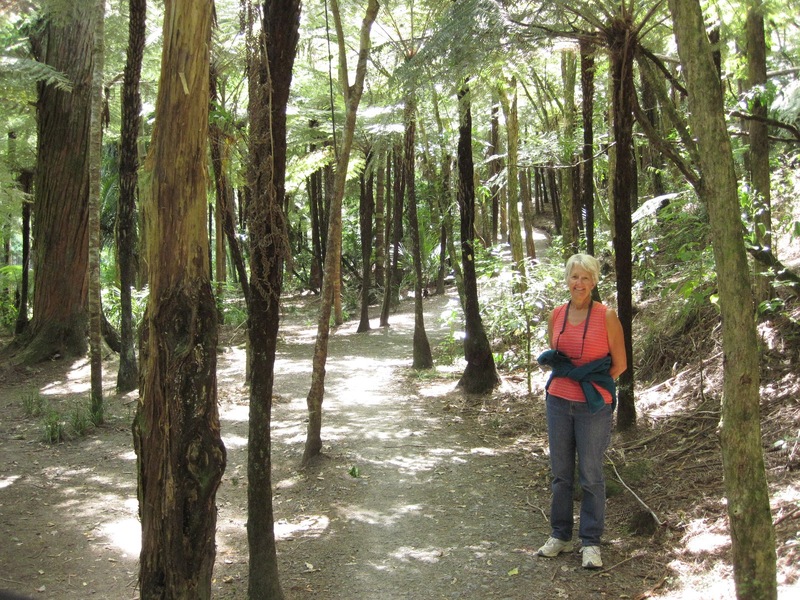 One of the things we come to love about not just Whangarei but all of New Zealand are the many spectacular and very well groomed hiking trails. Within 300 meters from the boat, we can be on a beautiful trail that follows the river. We frequently take walks after dinner, when the long-lasting twilight has eliminated the shadows but it's still easy to see. 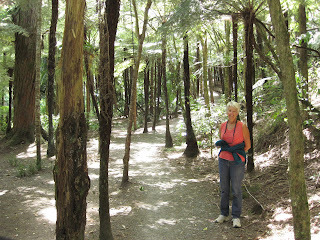 Yesterday, we hiked up to Whangarei Falls, about a 3-hour round trip walk through many parks, foot bridges and meadows. It was a bright, sunny day but cool enough that we remained comfortable even up the gentle climb. Most of the boats that we've crossed the Pacific with have arrived in either New Zealand or Australia though there are still a few stragglers out there. 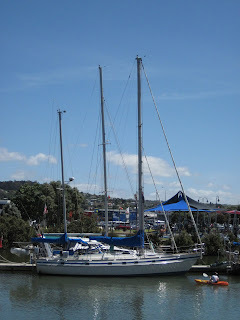 Last Friday we drove up to Opua for a day of seminars as part of the Island Cruising Association's All Points Rally, of which we were participants. It was great to connect with people whom we hadn't seen in a long time and to learn of everyone's plans. 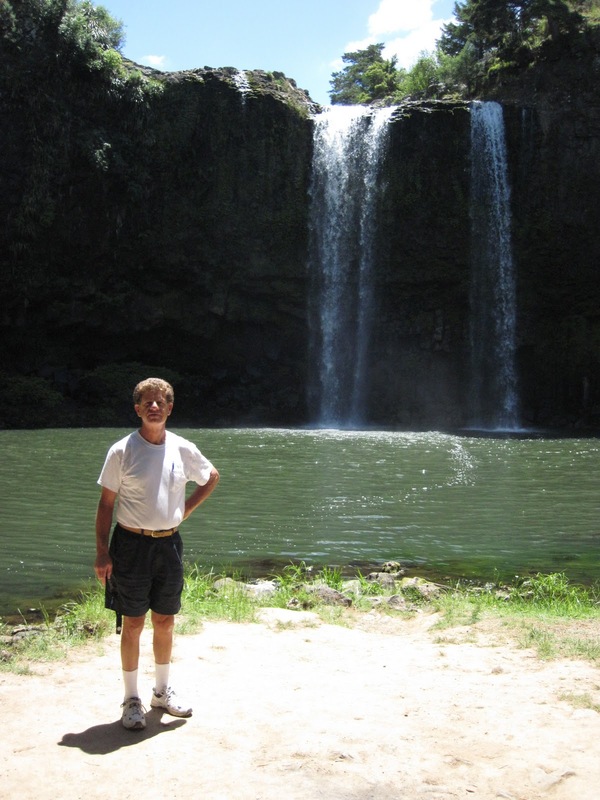 Speaking of plans, once Ruthie returns from San Diego in mid-January, we're going to pack up the minivan and do some camping around the South Island. As much as we enjoy the North Island, we've been told that the South Island is where the really breath-taking beauty is found. Before that, though, is Thanksgiving and there's a restaurant that's right at the head of the dock that's putting on an American-style Thanksgiving dinner. We've told some friends about it and gradually our party has grown to be almost fifteen people. We'll do drinks on Rutea and then go have dinner. After dinner, a walk through the woods.